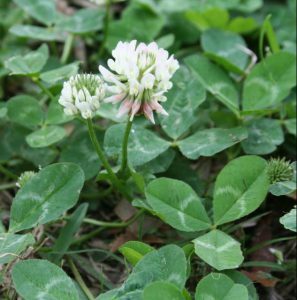 White Clover is often seen as a desirable species and is a frequent feature in Florida’s natural areas. It is native to Europe but has become naturalized over the southeast United States. This plant often pops up in turf grass, road sides, pastures, and medians/ditches. Since it is a legume, and a favorite of bees, the plant has been bred to have multiple varieties available to plant and the term “White Clover” describes all of these varieties. White Clover has the traditional clover appearance, with leaves ranging from medium to large size. One characteristic that helps narrow down White Clover if flowers are not present is the white V present on the leaves, although not all leaves will exhibit this feature as strongly as others. Traditionally, as with most clovers, the plant exhibits 3 lobes per stalk, although every now and then you may find a 4 leaf clover. The name, Trifolium, in latin directly translates to three leaves. White Clover is a cool season legume and flowers persist well into spring/early summer. The flowers serve as a vital early food source for bees and are often cultivated near apiary’s just for bees. It is most common in grassy areas, and is good to plant in pastures, yards, and medians to help keep weeds at bay while the grass is dormant during the winter. Once flowered, the characteristic white balls can be seen all across Florida and are easily spotted while driving. This plant serves an immense amount of benefits and should not be removed unless necessary. 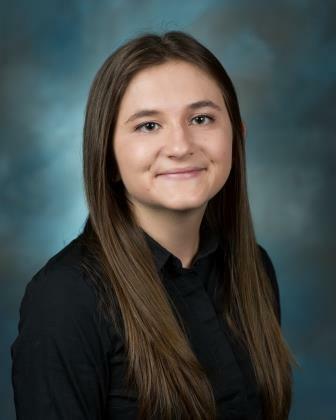 Wild Weeds is a monthly spotlight written by Alicia Halbritter, Baker County Agriculture & Natural Resources Agent. Wild Weeds highlights weeds you may find in Florida on the roadside, while hiking, in the forest, or possibly even in your yard. Searching for more information on a particular plant? Email Alicia at aliciah1221@ufl.edu for more information/questions. Greetings from Jerry Moore, Sarasota Master Gardener. At one time white clover was considered invasive in this area. However it is one of my favorites for many reasons. Hope that it is now permissible to plant it in this area. Although white clover has been introduced to the United States (it’s not a native) it is not considered an invasive species and is encouraged to be planted as a forage, cool season turf, and in natural areas due to its ability to sequester nitrogen, provide food for bees, and provide a high protein food source for wildlife.